Amazon Web Services (AWS) has come out with a number of new features to compete with the likes of Google, Microsoft, and a litany of other cloud service provider’s push into the enterprise user space. Google has had Google for Work for quite some time. Microsoft introduced Office 365 within the past couple of years and Amazon has added many of the same features — just offered as separate pay-as-you-go services. A couple years ago Amazon Web Services (AWS) introduced one of the most requested features: a mountable file system that could be used across multiple server/elastic compute/EC2 instances. In addition to that it would scale automatically — no setting a storage size — with however much data you used, just like their simple storage service (S3). It was called Elastic File System (EFS). However, elastic block storage (EBS) is still used by most to mount operating systems and often even for file storage (partially due to legacy use and since it is seen as more stable). So what happens when you reached your EBS limit? In the past it was no different than running out of hard drive space on a personal computer (or Mac). Most people panicked, freaked out, panicked some more, then started the long process of adding a new, larger drive (EBS volume) and copying all the existing data over from the old drive or adding a new drive then altering a bunch of software code to split where it can find the data. 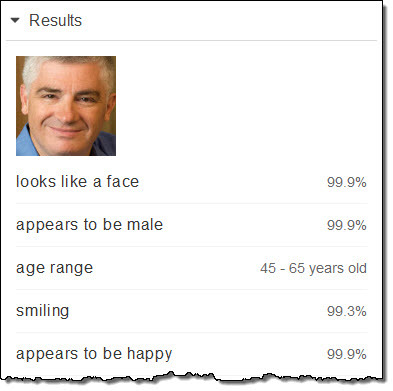 AWS Rekognition result showing the age range of the face identified in the photo showing a range of 45 to 65 years old for Jeff Bar (AWS’s Chief Evangelist).